St John’s is teaming up with Emma Gillon, a local estates manager, to return the venerable art of scything to the landscape. Inspired by a recent scything workshop at St John’s, Sharow, Emma will be replacing much of her petrol-powered mowing equipment with elbow grease and the trusty scythe. Emma says, “I love using the scythe because it is a traditional tool and actually much easier, quieter and lighter than strimming. “It’ll help me work in places where strimming or using the tractor mower are very difficult. I’ve worked for four years in estates management but this was totally new to me until I heard about the workshop. “It was interesting, educational and really good fun, despite the rain. You do need proper training because you are basically working with a 2 foot knife! 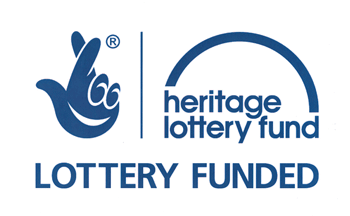 Emma is now working in partnership with the Heritage Lottery Funded Vision Project at St John’s, Sharow to improve conservation management in the area.